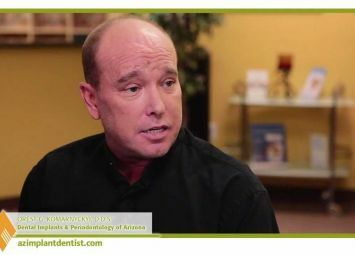 Any dental office can speak about how wonderful it is and how much it can accomplish, but to have actual patients do the talking is pretty powerful. That’s why we are excited to let you hear from some of our actual clients as they explain how we were able to transform their lives completely! If you would like to join our ranks of smiling patients, please give us a call at 602-842-6841 or contact our office using our online form. One of our staff members will reach out to you to confirm your appointment as quickly as possible. We look forward to meeting with you soon! 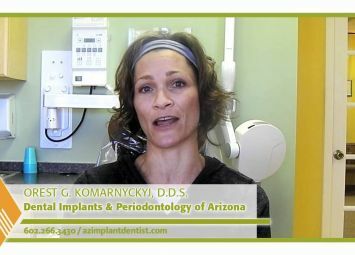 Dental Implants and Periodontology of Arizona is rated 5 out of 5 based on 65 reviews from around the Web. 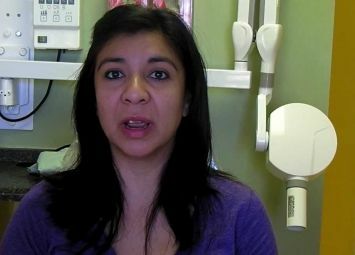 Choose Dr. K. I came in need of a tooth extraction and implant. The office was inviting, warm, comfortable, and friendly. Dr. K responded via personal text message and phone call - on the weekend! this was my first visit and I was quite apprehensive but the staff was so friendly I was immediately put at ease. Great experience! 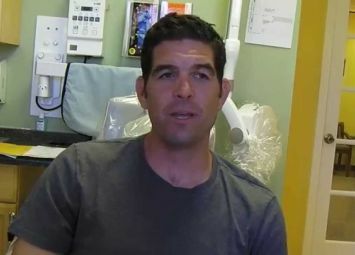 I had no pain with the tooth extraction or the implant.. Dr. Komarnyckyj and his staff are great! Great experience...Dr. K really knows his stuff...saved my time, pain and money! Staff was personal and knowledgeable. Had a great experience with my procedure and would recommend to others.